Do you represent a Indiana State Government Agency and wondering how you should archive all your web and social media content? Are you trying to determine what you need to do both from a legal and a technical point of view? Here’s a guide to the different Laws and processes you should follow. 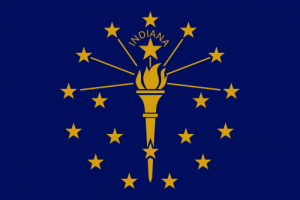 What Laws govern Records Management in the State of Indiana? “[A] fundamental philosophy of the American constitutional form of representative government is that government is the servant of the people and not their master. “ (Indiana Coalition for Open Government). Do Indiana State Records Laws include Website and Social Media content? The Act does not differentiate between different forms of records, as if a record is “created, received, maintained, or filed by or with a public agency,” IInd. Code § 5-14- 3-2, even online, it should be subject to these provisions. A public record is “any writing, paper, report, study, map, photograph, book, card, tape recording, or other material that is created, received, retained, maintained, or filed by or with a public agency . . . magnetic or machine readable media, electronically stored data, or any other material, regardless of form or characteristics.” Ind. Code § 5-14-3-2. This means that almost any document or material, so long as it is not privileged and is relevant to the subject matter involved. Because of the expansive definition of public agency and public records within Ind. Code § 5-14-3-2,chances are most state entities fall within the act. “Public agency” is defined broadly as to include any “board, commission, department, agency, authority, or other entity … exercising a portion of the executive, administrative, or legislative power of the state…. or a delegated local governmental power entity subject to budget review involving government funds”. “Governing body” may include a board, commission, authority, council, committee or entity that takes official action on public business. Ind. Code § 5-14- 3-3(d) states; “A public agency that maintains or contracts for the maintenance of public records in an electronic data storage system shall make reasonable efforts to provide to a person making a request a copy of all disclosable data contained in the records on paper, disk, tape, drum, or any other method of electronic retrieval if the medium requested is compatible with the agency’s data storage system.” No reported case law interpreting this provision of the Act or addressing metadata. How can we transfer website archives made with PageFreezer to the Indiana State Digital Archives? PageFreezer exports all data on request in the original file format including the required metadata. This data set can be transferred by FTP or by other means to the Oregon State or Agency Digital Archives.